There's a wide variety of titles coming to the Epic Games Store, and we saw the tip of the iceberg revealed during GDC 2019's Unreal keynote. Epic Games has announced a lengthy new lineup of new games coming to the Epic Games store as part of its "State of Unreal" GDC talk. 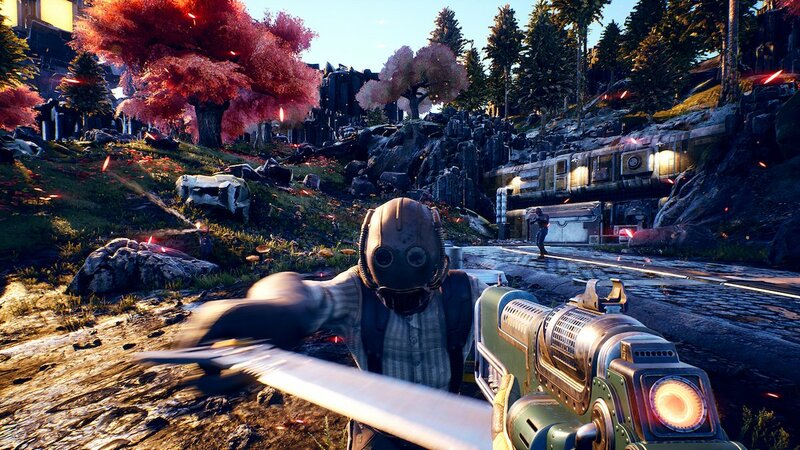 There's a wide variety of games coming to the Epic Games Store, including Obsidian Entertainment's The Outer Worlds, Panache Digital's Ancestors: The Humankind Odyssey, and Quantic Dream's impressive portfolio. That will bring Heavy Rain, Beyond: Two Souls, and Detroit: Become Human to the store (sorry, no Indigo Prophecy). The store has seen the addition of several high-profile games, including Tom Clancy's The Division 2, and the's just the beginning, apparently. Epic has plans to add a ton more to the platform as it continues to grow, well on its way to becoming a massive competitor for Steam. The company also noted that a variety of titles from the Ubisoft back catalog will soon be added to the Epic free games program. So far, it appears to have been a smashing success, and there have been quite a few excellent games to download for free as a result. In terms of what's already on the store, Epic Games revealed that Deep Silver's Metro Exodus sold over 2.5 times as many copies in its first few weeks on the Epic Games Store compared to the last game on Steam. Subnautica and Slime Rancher have also gone over 4,500,000 downloads in just two weeks as free games up for grabs on the store. Be sure to check out anything you might have missed via the Epic Games keynote stream, right here on Shacknews.